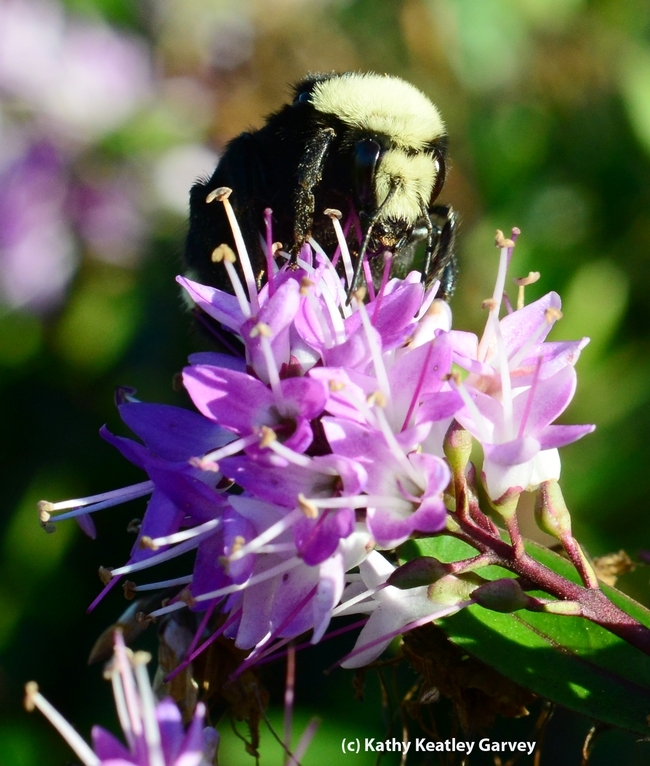 The yellow-faced bumble bee, Bombus vosnesenskii, is back. 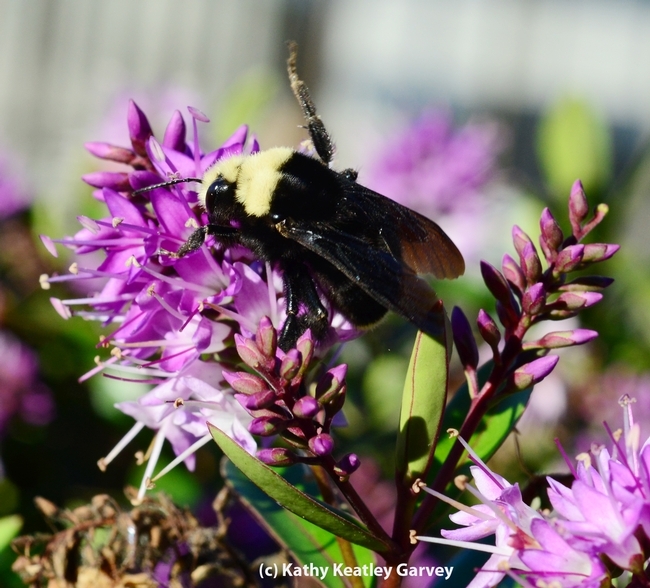 We spotted some overwintering queen bumble bees gathering nectar on a hebe bush last Sunday at the Berkeley marina. Distinguished by their yellow faces, yellow head pile, black wings, and a bold yellow stripe on their lower abdomen, they bumbled around the hebe as if they were newbie pilots. The warm weather invited them out of their underground nests. RSVP accepted. 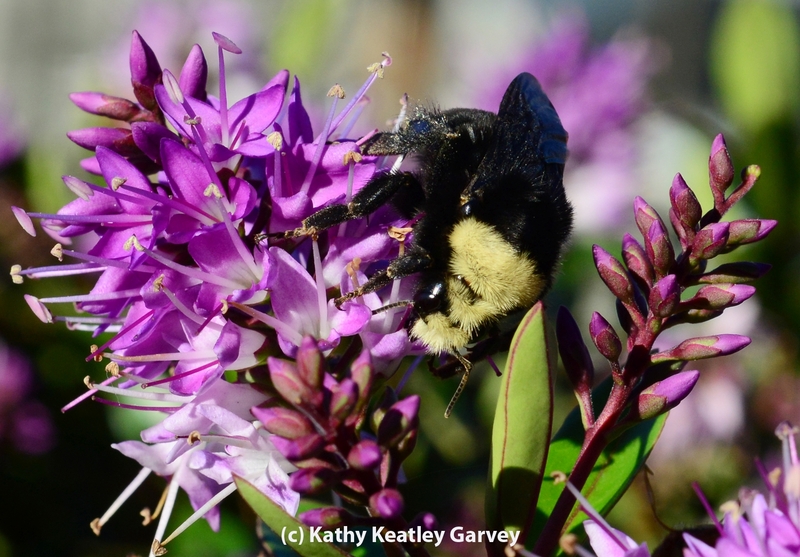 The hebe proved to be a good host, enticing them with the sweet scent of nectar. Soon the queens will be starting rearing a colony, and the worker bees will emerge. Hebe (genus Hebe), a native of New Zealand, grow wells along the coast. Gardeners who tend the marinas around the San Francisco Bay seem to favor it. So do the bumble bees.